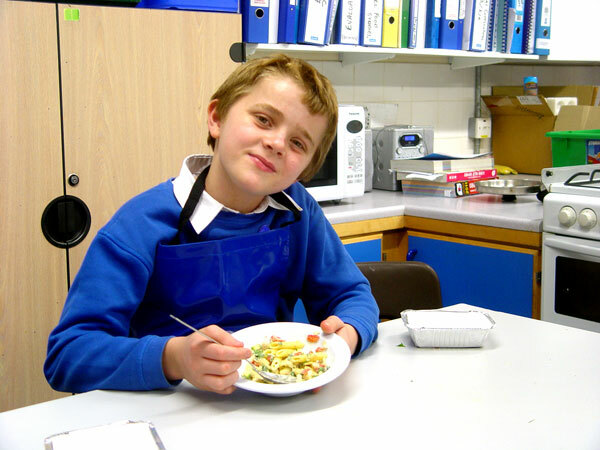 Class 3J have been focusing upon staple food items during their recent food tech sessions. We have learnt how pasta, potatoes and rice make up this group, as well as the health benefits that they bring to many sportsmen and sportswomen. Out Learning Intention for this session was to design a healthy meal for an athlete that made use of some staple food. 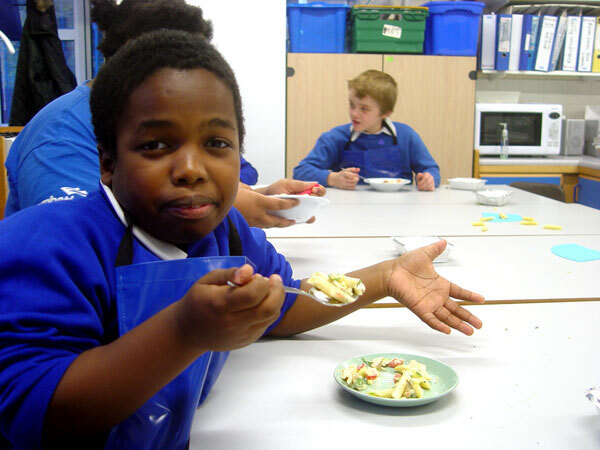 We also wanted to make sure that the personal food preferences of our Class 3J pupils were also catered for. We decided as a group that a chicken pasta salad would fit the description perfectly. Class 3J wanted to make the healthy meal have an extra tasty feel to it, and so we also thought about vegetable and seasoning that we could add. The final meal on the menu included courgettes, pepper and lemon. You can listen to a couple of our Class 3 members explaining more about their food tech session in the podcast below.